NAV & Metro Boomin formally announce their highly-anticipated project Perfect Timing with the release of two tracks, the title track “Perfect Timing” and “Call Me”. The album is due for release next Friday, July 21 via XO/Boominati Worldwide/Republic Records. The album was born out of the two artists mutual admiration for each other’s skills behind the mixing board, having previously worked on NAV’s viral hit “Up,” (featured on NAV’s self-titled debut mixtape). 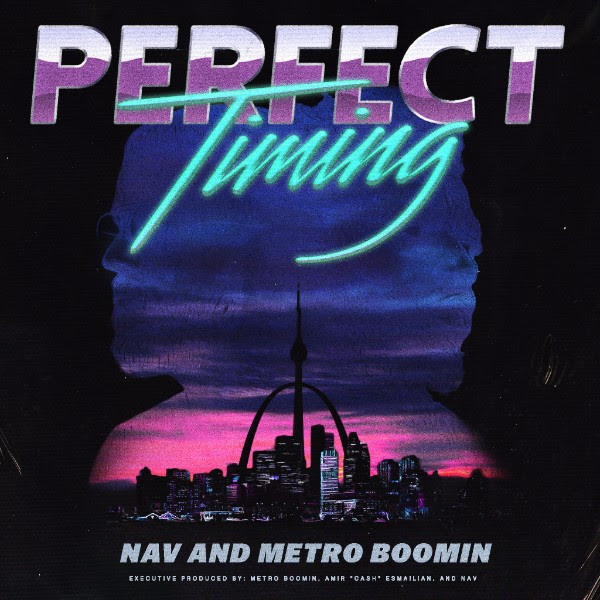 Perfect Timing includes tracks produced by NAV and Metro Boomin both collaboratively and separately. 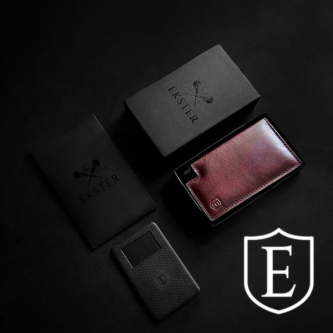 The project also bodes a handful of exciting surprise guests with additional details soon to be revealed. In support of the album, NAV recently announced that he will join The Weeknd on the second leg of the “Starboy: Legend of the Fall” world tour. Set to begin on September 6th in University Park, PA, NAV will tour with The Weeknd on dates throughout the Fall, with stops across the United States, Canada, New Zealand and Australia. Gucci Mane will join the duo in the United States, while French Montana will join them in Canada and Australia. The tour will conclude on December 14th in Perth, Australia. Further information on tickets and routing can be found at www.ticketmaster.com. ABOUT NAV: Since releasing his first handful of tracks on SoundCloud in 2015, NAV has appeared through a cloud of smoke, quickly becoming one of the most buzzed-about artists today. From the start, NAV has let his music do all of the talking, shattering all rules and molds along the way. Quickly after releasing his earliest tracks, NAV co-produced Drake’s GRAMMY-nominated “Back to Back.” He has also collaborated with the likes of Travis Scott (on 2016’s “Biebs in the Trap,” which NAV also produced) and more. Earlier this year, NAV released his debut full-length, a self-titled mixtape, through XO/Republic Records. With over 42.7 million times on Apple Music, it debuted at #5 on the overall album chart on day of release earlier this year. The project features the fan-favorite song “Some Way” featuring The Weeknd, which has received over 23 million views on VEVO/YouTube to-date. NAV’s viral success has also translated into his live performances where his debut solo shows at Mod Club Theatre (Toronto, CA) and The Observatory (Santa Ana, CA) sold out within minutes. NAV’s music has received attention across the board, including XXL, Complex, Billboard, The FADER and beyond, with Rolling Stone recently calling his debut Coachella performance one of the year’s best. Now, with Perfect Timing, NAV is quickly becoming one of today’s most in-demand new artists. ABOUT METRO BOOMIN: METRO BOOMIN continually delivers hits that push boundaries and define the modern sound. 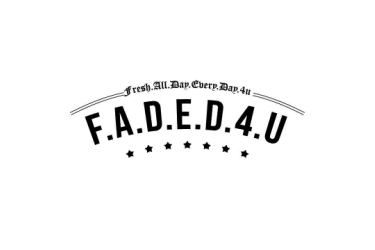 By the age of 23, he had already architected an unbreakable string of smashes for the likes of Drake, Kanye West, The Weeknd, Future, Nicki Minaj, Travi$ Scott, and many more. 2017 has been an explosive year for METRO, having produced 5 Top 10 records on the Hot 100 Chart this year alone including Post Malone’s triple-platinum smash “Congratulations” [feat. Quavo], Migos’s platinum “Bad and Boujee” [feat. Lil Uzi Vert], Future’s platinum “Mask Off,” Kodak Black’s platinum “Tunnel Vision” and Big Sean’s platinum “Bounce Back.” In 2016 he not only scored the BET Hip Hop Award for “Best Producer of the Year” and watched his cumulative streams reach billions worldwide. He also joined forces with 21 Savage for the joint project Savage Mode—which racked up over 250 million streams and yielded two platinum selling, Billboard Hot 100 hits in less than six months’ time. Adding to his countless credits, he served as executive producer for Drake & Future’s platinum-certified 2015 collaboration What A Time To Be Alive in addition to producing the triple-platinum “Jumpman.” Covering The Fader, the publication described METRO as “arguably the most in-demand producer in hip-hop,” while Billboard dubbed him, “One of the brightest rising stars in hip-hop today.” He’s been prominently featured by Noisey, Forbes, Washington Post, Complex, and more.